Nelson Mandela will forever be regarded as a visionary – a man who stood for the rights of the oppressed and as a person of great strength, determination, and resolve despite the unimaginable odds stacked up against him in his earlier years. 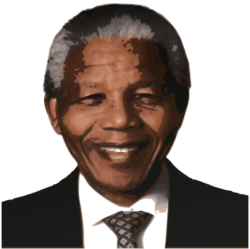 This year, we celebrate Nelson Mandela International Day on Wednesday, July 18th. It is also Nelson Mandela’s birthday and the two are obviously not a coincidence. On July 18th, 2009, the first Nelson Mandela International Day was celebrated, and it has been celebrated annually ever since. It is a time when the entire world has the opportunity to reflect on Mandela’s life and legacy, on global peace, and on how we can all take an active role to build international bonds and strengthen our global connections. It may interest you – yet not surprise you – to learn that “Nelson” was not Mr. Mandela’s birthname. “Nelson” was a name given to him by his teacher when he first entered school. At that time, the educational system in South Africa was heavily dominated by British influences, and each student was given a “British” name. Mandela was born in 1918 on the banks of the Mbashe River in Transkei, South Africa, in the small village of Mvezo. His parents gave him the birthname, “Rolihlahla”, a term in the Xhosa language which literally means “pulling the branch of a tree” but translates more commonly to “troublemaker”, and the irony here is certainly not lost. However, when we reflect on his legacy, the trouble that he made not only resulted in the end to apartheid but birthed the very first black South African as president. Turns out that sometimes being a troublemaker is not such a bad thing after all. South Africa is experiencing a growing desire to bring back indigenous languages that were suppressed during the colonial and apartheid periods. One way in which the language services industry can honor Rolihlahla (Nelson) Mandela is through active efforts to help standardize South African indigenous languages and preserve the country’s diverse cultures. Even though English is still regarded as one of the official languages in South Africa, less than 10 percent of its residents speak English as a first language. isiZulu however, is spoken by 22.7 percent and isiXhosa (Mandela’s native language), by 16 percent. In fact, South Africa is home to 11 official languages, nine of which are native languages: Ndebele, Northern Sotho, Sotho, Swazi (Swati, siSwati), Tsongo, Tswana, Venda, Xhosa, and Zulu. Established 10 years ago, the Ulwazi Programme is the first of its kind in South Africa to use technology and local community volunteers to generate locally-relevant content into local languages – primarily Zulu, a language spoken by approximately 12 million South Africans. Over the past decade, the program has recorded a multitude of historical and cultural stories that include rites of passage, celebrations, ceremonies, food, music, art, and more. Local visitors to the site have left an endless list of questions in their native language, focused on religion, traditions, customs and more – a testament to the community’s desire to enrich their lives and reacquaint with their roots via their native language. Mozilla, an opensource web browser which opened its doors in 2002, began to localize into South African native languages just over 7 years ago. In 2011, in collaboration with Translate.org.za and with the help of community volunteer translators, Mozilla’s Firefox browser began offering the Zulu and Northern Sotho languages to its users. In 2014, Mozilla teamed up with Rubric, a company that translated over 30,000 isiXhosa words for Mozilla. In the words of Françoise Henderson, Rubric’s Chief Executive at Rubric, “It [isiXhosa] is the second-most spoken language in South Africa after isiZulu… and it deserves to have a dedicated browser, just as the others do…”. 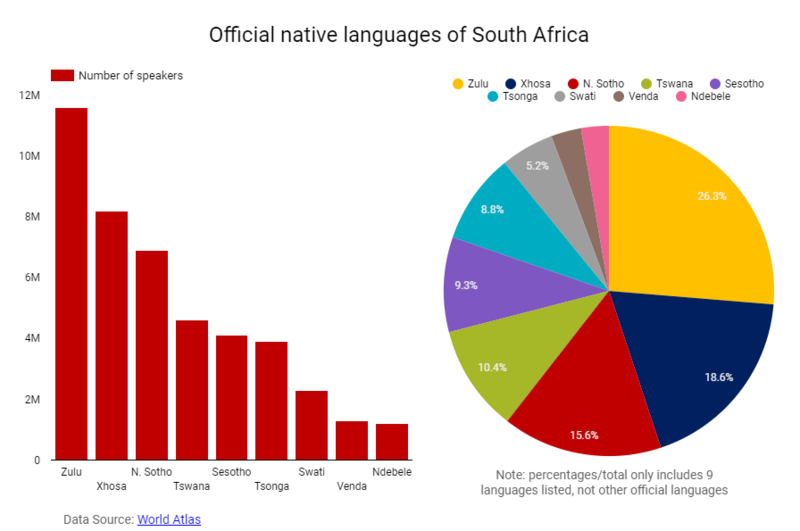 Offering translation services in Sesotho, Xhosa, and Zulu, Google Translate has had some criticism with regard to the translation quality of these South African languages. However, it has also announced the introduction to a new neural translation machine (NTM), claiming that it will add a marked advancement in their translation quality – but Google Translate now must compete with some contenders. The WebValue (TWV) offers a Setswana-English translator app (AKA, Tswana) for Android users, although it doesn’t currently have the greatest of ratings. The Thenodi-Setswana translator is another contender, and although it has much higher ratings, it hasn’t been updated since 2013. 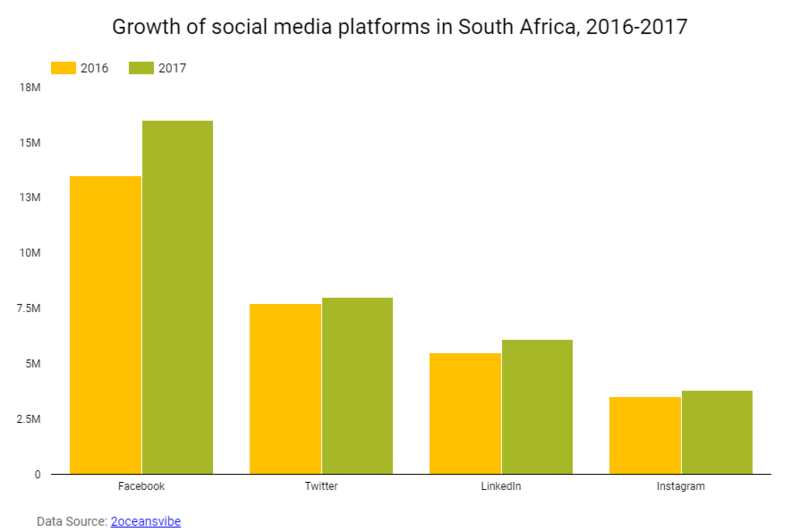 The most widely-used social media platform in South Africa, is Facebook. No one can argue that Facebook’s continued success lies squarely in its ability to continue attracting and maintaining human-powered users, and South African users are no exception. With over 100 languages now offered on its platform, including Xhosa and Zulu, Facebook is attracting more and more South Africans. But it’s not just about the language – it’s also about accessibility. Since Facebook is mainly accessed with mobile phones in South Africa, it has introduced Facebook Lite – a smaller version of the app which is more suitable to Android phones. Big South African businesses and advertisers are also flocking to Facebook to promote their brands. It stands to reason that by creating a more accessible app along with offering the app services in one’s native language, Facebook is helping businesses to see a greater ROI and helping more South Africans to actively engage online. Large-scale localization projects are taking place right now in South Africa, and global markets are taking notice. From big tech investments, startups, and social media, to ecommerce giants and more, South Africa is rapidly becoming a global attraction. Partnering with language services providers that understand the country’s many languages and diverse cultures is a first step to becoming part of what will inevitably be the next economic boom. Nimzi Insights listens to all voices, so we would love to hear from you. Let us know what you think about the growing localization efforts in South Africa. And from all of us here at Nimdzi to all of you, we wish you a very Happy Nelson Mandela International Day this Wednesday!